Found by my cat on our floor to our upstairs bedroom by the attic. 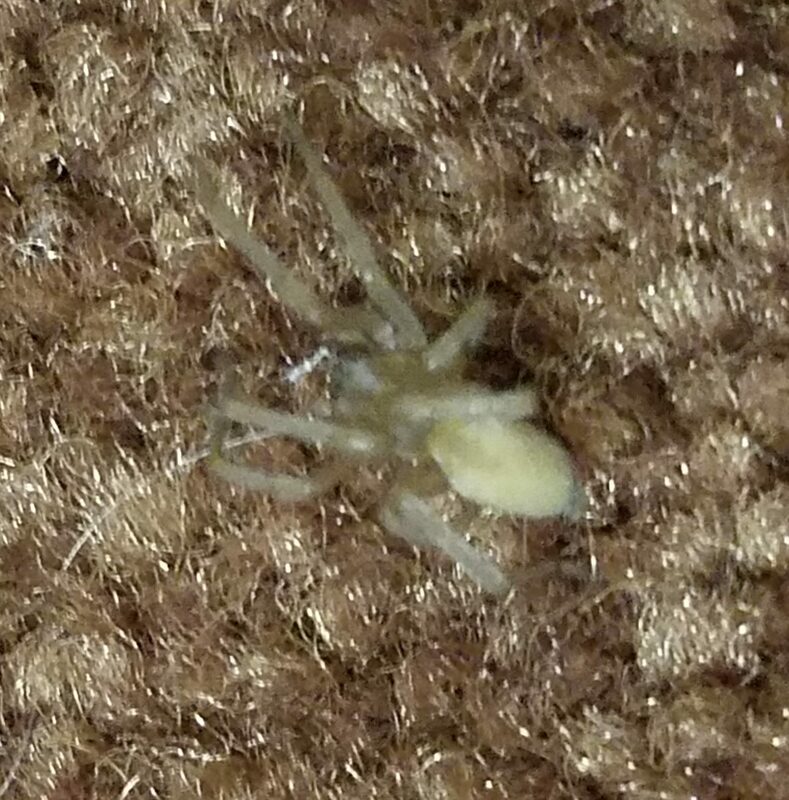 Seen covering body with legs for protection in picture. 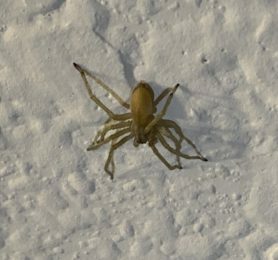 Hi, this looks like Cheiracanthum mildei, a Long-legged sac spider. 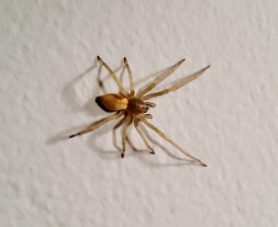 I have some of them moving about actively in my house right now too. I don’t know what they find to eat in the house other than my long-bodied cellar spiders, Pholcus phalangiodes. 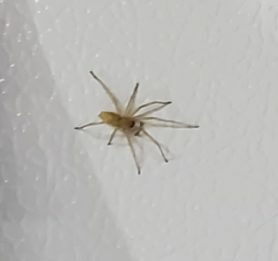 I think a common place to find them is on celings, likely eating the mites there. I have a few about also.